Henry Candy has been training for more than 40 years from the yard in Oxfordshire at which his father, Derrick, trained before him. 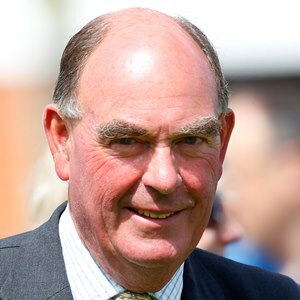 He initially made his name with middle-distance horses, in particular Master Willie, who was runner-up in the 1980 Derby and won the Coronation Cup and Eclipse Stakes the following year, and Time Charter, the 1982 Oaks heroine who went on to land both the King George VI & Queen Elizabeth Stakes and the Champion Stakes in 1983. But in more recent year his best results have almost exclusively been achieved with sprinters such as Eveningperformance, Gorse, Kyllachy, Airwave, Markab, Music Master, Twilight Son and Limato. Markab triumphed in the 2010 Betfred Sprint Cup and he saddled Music Master to be third in the race in 2014, and he reminded us all of his ability to train crack sprinters when his unbeaten three-year-old Twilight Son took the same race in 2015. He couldn’t repeat the feat at Ascot in the Champions Sprint next time, when he found Muhaarar too strong, but confirmed himself a top sprinter with victory in the Diamond Jubilee Stakes in 2016 before being retired at the end of the year. Limato also shone for Candy in 2016 – winning the Darley July Cup and then finishing second in the Coolmore Nunthorpe Stakes.